Sandy Yeung is a lawyer specializing in immigration and family law with over 10 years of professional experience. Sandy earned a Bachelor’s degree from Columbia University in 1998 and a law degree from Boston University School of Law in 2003. She joined Greater Boston Legal Services after serving as law clerk for Justice Fernande R.V. Duffly of the Massachusetts Appeals Court (now of the Supreme Judicial Court). As Staff Attorney at the Asian Outreach Unit at Greater Boston Legal Services, Sandy helped immigrant survivors of domestic violence get relief under the Violence Against Women Act (VAWA), as well as other humanitarian immigration relief. She also represented survivors in contested divorce matters, such as restraining orders, divorce, child custody, and child support. Sandy’s law practice focuses on all aspects of immigration and family law. She represents individuals in family petitions, adjustment of status, asylum, temporary work visas, investor visas, VAWA self-petitions, U visas and removal defense. She consults and represents small businesses in various employment-based immigration cases. Her family law practice focuses on divorce, child custody, child support, and property and asset division. Sandy is also a trained family law mediator. She volunteers her time helping families at the Suffolk Probate and Family Court. Sandy is committed to increasing access to representation for immigrants and families. She is an immigrant herself; she grew up in Malaysia, Hong Kong, Dominican Republic and Long Island, New York. She speaks Cantonese and Mandarin (Chinese) fluently. 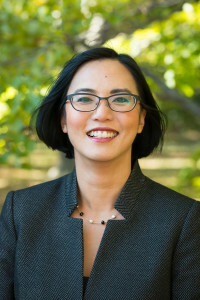 She regularly addresses the legal needs of the Chinese community in Boston and works closely with several community organizations in Boston’s Chinatown. Sandy is a member of the Chinese Progressive Association Sustainability Board. In her free time, she enjoys hiking and camping in Vermont with her family.